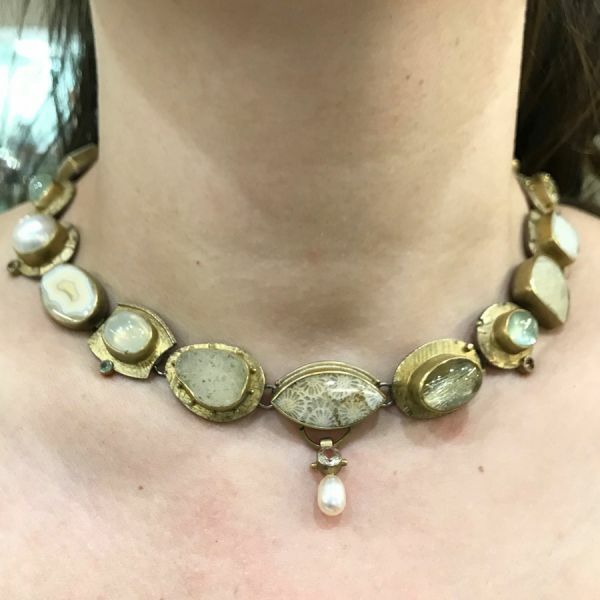 One 14 karat yellow gold and silver necklace set with cabochon quartz, three freeform quartzite, four cabochon agate and four mabe and freshwater pearls. 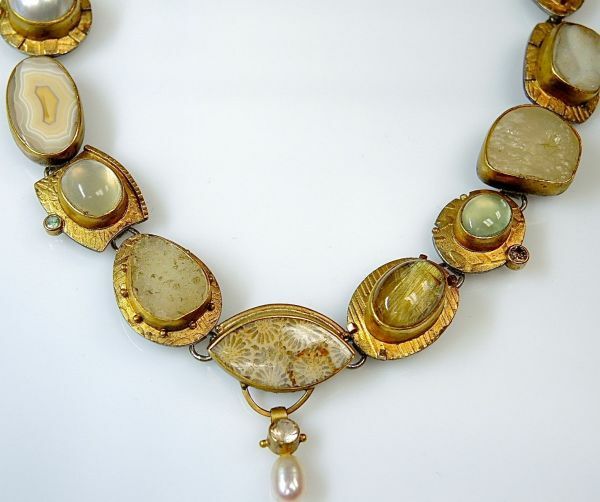 The necklace is futher set with three round brilliant cut diamonds (0.40 carats: SI clarity: light brown colour). Two aquamarines (0.25 carats). Two round facetted paste. 19.25'' in length.